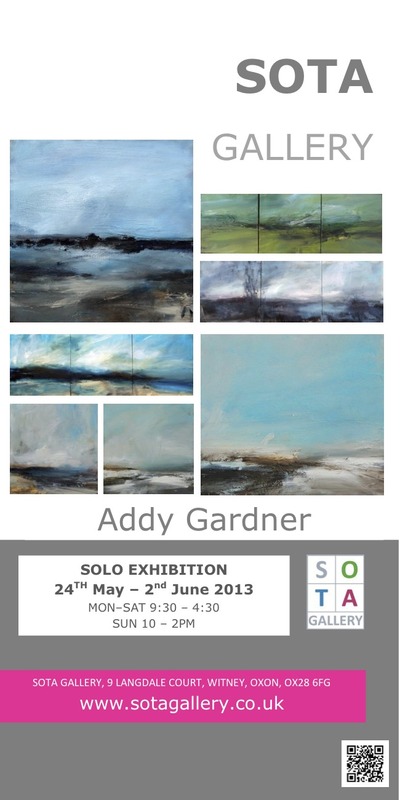 Very excited about a solo show I have starting on Friday 24th May 2013 at SOTA Gallery in Witney. It runs until the 2nd June and will be showing canvases of different sizes. There will also be some prints available which are taken from oil sketches on paper and also cards. Please feel free to contact me and also pay a visit to my studio when you visit. There will also be an article in this weeks Oxford Times about the show and my work.